Cultivada en Colombia; Alt. 2800 m.; Andes. Small tree to 7.5 m with narrow leaves 0.5–2.5 cm wide; not weeping. 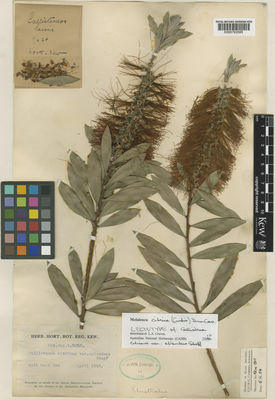 Callistemon lanceolatus var. semperflorens (G.Lodd.) Heynh.